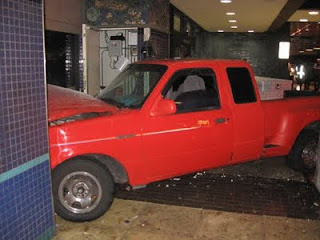 Home » News » Truck crushed into aquarium at the Tampa International Airport. Truck crushed into aquarium at the Tampa International Airport. About 40 saltwater fishes were killed when $200,000 worth aquarium was hit and broken into pieces by the pickup truck which lost control by 36 years old lady Campuzano-Martine. The airport authority said she had her child, 6 years old boy sitting on her lap at the time of accident happened. The saltwater tank which was part of a public art program and resided outside the American Airlines baggage claim at Tampa International Airport. There was a no serious injury in the accident. No Comment to " Truck crushed into aquarium at the Tampa International Airport. "